With nearly 10 million treatments performed in 2017, injectables (i.e., BOTOX and fillers) are by far the most popular cosmetic procedures in the U.S. Even if you haven’t tried them yourself, chances are you know multiple people who have gotten them. If you’ve been hesitant to jump on the bandwagon because you have questions about how they work or how much they cost, or you’re deterred by bad BOTOX stories you’ve heard, asking a plastic surgeon is the best way to learn more. They’ll help figure out which injectable treatment, if any, is right for you. Additionally, getting treatment from a doctor who knows facial anatomy as well as plastic surgeons do will help you get optimal results—and avoid common pitfalls associated with inexperienced providers. To help you get started, I’ve answered a few popular questions from my Maryland injectables patients below. And since you’re asking, I am a board certified plastic surgeon who’s performed thousands of cosmetic injections over the last 20 years, so you can trust these answers are honest and accurate. 1. How much does BOTOX cost? BOTOX prices vary depending on who is performing your injections, the area(s) you are having treated, and the amount of product needed to achieve the desired result. (The same goes for the popular BOTOX alternative Dysport.) Patients with stronger facial muscles and thicker skin usually require more BOTOX to achieve the same degree of wrinkle reduction as those with thinner skin and musculature—this is one reason why BOTOX for men typically costs a bit more. BOTOX and Dysport are priced either by the unit or by the area. Units are product-specific, and 1 unit of BOTOX is roughly equal to 3-4 units of Dysport. BOTOX costs more per unit than Dysport, but since it takes 3 to 4 times more Dysport vs. BOTOX to treat an area; total costs end up being nearly the same. Doctors who charge by the area will take the number of units needed to treat that area for the average patient into account when pricing treatment. In general, you can expect to pay about $350 to $600 or more per BOTOX or Dysport treatment. Smaller areas will cost less; larger or multiple areas will cost more. At Plastic Surgery Services, our regular BOTOX and Dysport prices start at $350, but we frequently have specials that bring this price down (a great reason to subscribe to our newsletter! Sign up using the form on our home page). 2. How long does BOTOX last? The effects of BOTOX (and Dysport) typically last about 2 to 6 months, depending on the patient, the treatment area, and the treatment purpose. Patients typically need more frequent treatments for wrinkle reduction (getting injections every 3 to 4 months is normal), while BOTOX for excessive sweating (hyperhidrosis) can last up to 6 months. Many patients find that they need BOTOX treatments less frequently over time, as their facial muscles “unlearn” the habitual expressions that worsen lines like crow’s feet, frown lines, and brow furrows. 3. How long do fillers last? How long filler results last depends on the amount and type of product used, the treatment area, your provider’s technique, and how quickly your body naturally absorbs the product. You have a lot more choice in the matter with fillers vs. BOTOX. For example, classic hyaluronic acid fillers such as Juvéderm XC and Restylane tend to last about 6 to 9 months, while Juvéderm’s newest wrinkle filler option, Vollure, is meant to last up to 18 months. Our most popular hyaluronic acid filler for cheek enhancement, Voluma, can last up to 2 years. All that said, it’s important to know everyone is different, and how long a filler “lasts” can also be influenced by your individual wishes. Some patients like to go longer between treatments, waiting for results to fade a little before refreshing them, while others want regular touch-ups to maintain their look as continuously as possible. 4. Which filler is better, Juvéderm or Restylane? This is akin to asking, “which is better, Coke or Pepsi?”, because Juvéderm and Restylane are both great options, and some people simply prefer one over the other. Both are smooth gel fillers made with the same active ingredient (hyaluronic acid), and both brands come in different formulas to smooth facial wrinkles, enhance lips, and restore volume to cheeks. There are slight differences in the consistency of Juvéderm vs Restylane products, and some just work better for certain patients. 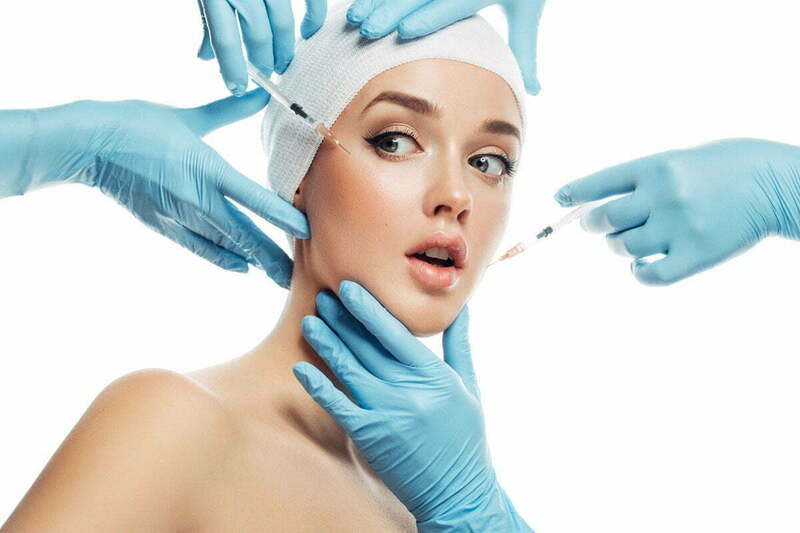 Ultimately, choosing a great injectables provider is much more important than deciding what product to get. A skilled provider with considerable experience performing cosmetic facial injections and excellent knowledge of facial anatomy and aging will be able to deliver great results regardless of which filler you choose. 5. Do injectable treatments hurt? Most patients say that beyond a brief pinching sensation, BOTOX injections don’t hurt much at all. Filler injections can be a little more uncomfortable for some patients as the gel goes into the skin. However, most fillers are infused with lidocaine (a mild pain medication) to offset discomfort. We’ll also apply ice or numbing cream prior to treatment to maximize comfort. Mild soreness at the injection site for a few days after treatment is common, but this shouldn’t be painful—just a little tender to the touch or with facial movements. Injector technique has a huge impact what injections feel like—a good reason to choose an experienced board certified plastic surgeon for your treatments. Have more questions? Ask your Maryland plastic surgeon at a free consultation. I hope this injectables Q and A has been helpful, but if you’re considering injectable treatments, there’s no substitute for an in-person conversation with an experienced, board certified plastic surgeon. I invite you to contact my office to set up a free personal consultation. I PERFORM ALL COSMETIC INJECTIONS PERSONALLY, and will be glad to help you understand how BOTOX, fillers, or any other facial rejuvenation treatment can help you improve your appearance naturally.